We are providing premium quality range of Kadappa black natural, that is used for wall-cladding, flooring, roofing and various other interior & exterior construction applications. 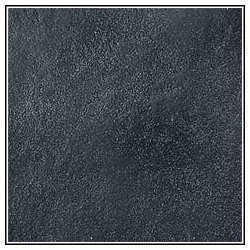 These natural stones are shades of black, with desirable tonal variations. Physically, Limestone are Quite impervious, Hard, Compact, fine to very fine grained calcareous rocks of sedimentary nature. We, Rajul Exports, are an eminent organization engaged in Manufacturing and Exporting a fine quality assortment of Indian Natural Stones. Our ravishing spectrum of stones comprises of Granite Stone, Sandstone Slabs, Limestone, Cobbles, etc. in numerous shapes, sizes, colors and patterns. As per geological changes, stones offered by us have different composition and characteristics. Henceforth, based on traits of stones, one can apply them in differed places, be it for residential or commercial purpose. Our product range includes Sandstone Ball Fountain, Marble Artifacts, Sandstone Artifacts, Sills & Keystones, Culture & Ledge Stone, Pavings & Circles, Mosaics Floor Tiles, Tumbled Stone, Cobblestones, Onyx Gold Marble, Granite Slabs, Black Galaxy Granite, Limestone Slabs, Natural Slatestone South India, Sandstone Slabs, Teakwood Sandstone etc. Our natural stones are long lasting and easy to maintain. From natural claft, polished, bush hammered, sand blasted to number of other stone finishes, can be sourced from us. Stones are available in assorted array of colors and hushed tones like white, grey, mustard, brown, etc. We offer stones in patterns like tiles, slabs, pebbles and other artifacts in variegated contemporary as well as ethnic designs.